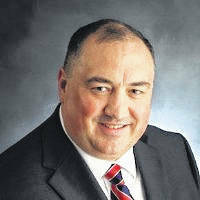 City Manager Derek Allen was fired Monday night by the Portsmouth City Council. Councilman Gene Meadows read a list of grievances against Allen in open session. After Council returned from its second executive session, the vote was 4-2 in favor of dismissing Allen. Second Ward Councilwoman Jo Ann Aeh, Fourth Ward Councilman Jim Kalb, Fifth Ward Councilman Gene Meadows and Sixth Ward Councilman Thomas Lowe voted in favor of firing the city manager. First Ward Councilman Kevin W. Johnson and Third Ward Councilman Kevin E. Johnson were against Allen’s removal. One grievance listed against Allen, which didn’t specify a date, was the “Malfeasance is the commission of an illegal act.” According to the statement, the city manager used physical violence and physically struck an employee on two different occasions. Most of the grievances were listed under The City Manager’s Employment Agreement Section 10, which refers to severance pay. According to the agreement, if the employee is terminated for any reason, other than cause, the employer shall provide a minimum of six months of severance pay at an equal amount of the employee’s salary. However, if the employee is terminated with just cause — improper physical or verbal harassment, disrespect or improper treatment toward fellow employees or misfeasance — the employee doesn’t qualify for severance pay. Kevin W. Johnson, who voted against Allen’s firing, doesn’t believe Council made the right call. Another grievance stated against Allen was “Nonfeasance is the failure to perform an act that is required by law.” According to the grievance, the city manager agreed to give a $2.00 an hour raise to the AFSCME 1039 C members without having Council approve the expenditure, which is a requirement and subject to discipline under the City Manager’s Employment Agreement Section 10. “If they even wanted to go as far as a 30 day suspension, that’d be fine by me because there were some issues discussed regarding some things he had done that concerned me, but none of them, for me, reached the level of a firing offense — especially giving the history of our not ever having admonished him and not having put anything in his file as a trail, which you do for any employee. That’s required. You counsel them. You get them to improve whatever it is you think they’re not doing well,” Johnson said. The third major grievance was listed as “Misfeasance is the wrongful exercise of lawful authority.” According to the grievance, the city manager advised Council of a bid proposal with the Southern Ohio Port Authority (SOPA) on Oct. 9 for demolition and asbestos and abatement at the Adelphia state, currently owned by the city. The city manger didn’t think the original bid would be honored for $49,000 and asked for an allocation of $75,000. On Nov. 10, Council members received a copy of the email from the contractor who proposed the $49,000 bid and was advised that he had contacted the city manager on Oct. 11, and the contractor told the city manager the original bid was sufficient. However, despite not needing the $75,000, the the city manager remained silent. “Not only did Derek Allen fail to communicate with City Council by failing to disclose the existence of the email, honoring the original bid, the city manager was dishonest because he was again asked if he had contact with the contractor regarding honoring the original bid at which time he claimed that he did not believe the bid would be honored.,” the statement said. Johnson said Allen should have been punished for his offenses, however, he believes termination was too steep of a price to pay. Johnson’s other concern was the impact the firing would have on the community. “The city used to be known as the recall city because we use to recall so many mayors and members of council, and we finally get things settled down,” Johnson said. “We get a budget that’s realistic. We get out of the hole. And all of the sudden, (Council) pulls this. I’m upset. It shouldn’t have been done that way. But certain people were hell bent upon getting (Allen). According to Councilman Gene Meadows, there will be an interim city manager as the search for a new city manager gets underway. A day after releasing a list of grievances against Allen, Meadows said he wasn’t in position to comment about the ongoing issue. “Our official position is that this is an ongoing employment matter and until it’s resolved, we’ll handle everything at the council chambers,” Meadows said. As for Johnson, he was left with more questions than answers. Derek Allen and Portsmouth City Solicitor were unavailable for comment at press time. Reach Chris Slone at 740-353-3101, ext 1927, or on Twitter @crslone.